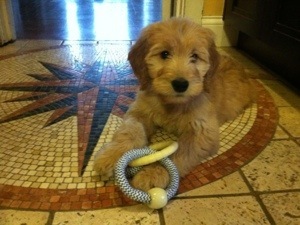 This entry was posted in Life and tagged dog, Golden Doodle. Bookmark the permalink. Jamie I am just loving your blog… I read them all and they light up my day :)… Keep them coming girlfriend 🙂 Blessing and Happy Easter from my crazy family to yours… John says give David his best!